I've talked about Le Couvent des Minimes several times before. The brand is part of the L'Occitane group and offers similar beauty products inspired by the Provence region of France, only with a less diverse range. Some of their products have recently been on clearance at a few retailers while new lines started popping up, so the brand might be having a makeover this year. 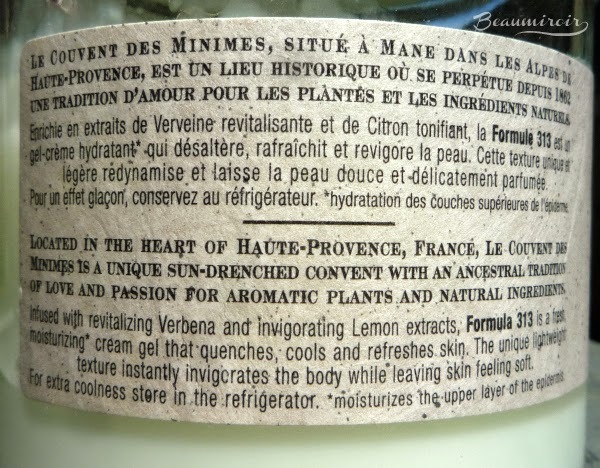 Today, for the second post in our French Friday series, I want to show you 2 products in one of my favorite scents by the brand, Verbena & Lemon. The line includes a soap, a body lotion, a body splash (mist), and the shower gel and body sorbet that I have. The scent is divine and I really love to use this line in the summer. It's a fresh, citrusy fragrance, a little tart and not sweet at all, and it's reminiscent of the brand's Eau des Minimes cologne. 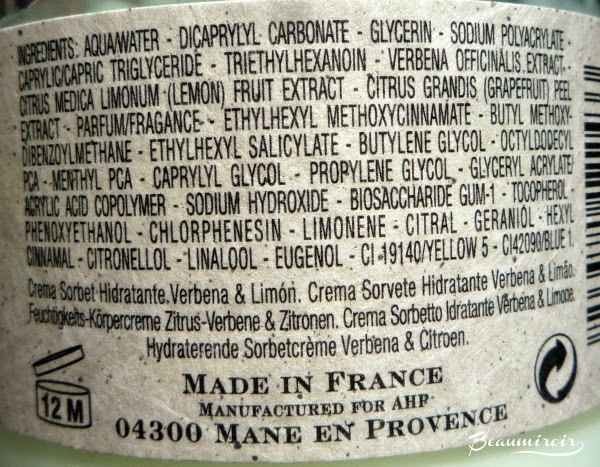 If you like L'Occitane's Verbena scented line then you're also going to love this, they're very similar. The Energizing Shower Gel ($16 for 8.4 Fl oz) comes in the brand's signature bottle, with the logo embossed in the plastic, a silver cap and a retro-looking label. It's strongly fragranced, although not overwhelming, and I do find it very invigorating in the morning. I like to use it when I need a mood lift, the citrusy scent always makes me smile. It's not the kind of shower gel that lathers much, it's more something that you spread on your body and rinse. My skin never feels dry after use so that's a big plus in the winter (or it was when I lived in a place where there was a winter!). 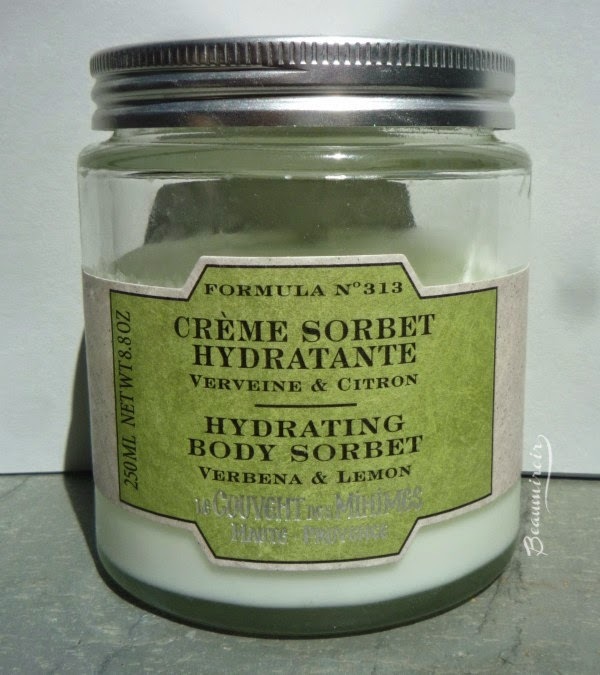 The Hydrating Body Sorbet is my absolute favorite product from Le Couvent des Minimes, and basically my HG body cream. 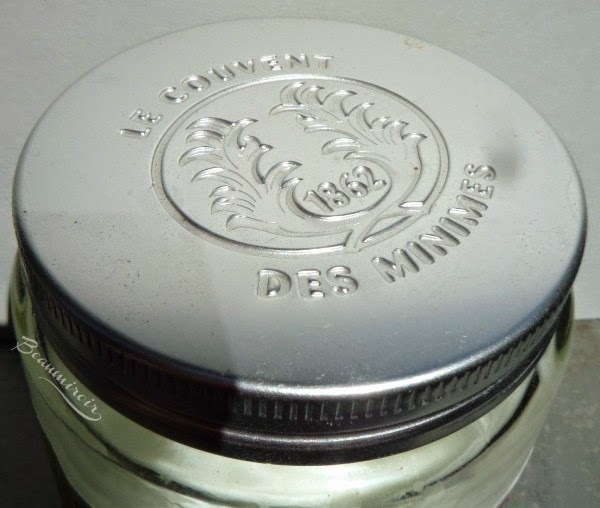 It comes in a very luxurious, large and heavy glass jar (that makes the $32 price tag a little easier to justify but it means you can't take it with you for a getaway), with a beautiful embossed metal lid. I really like the product labels, they're a little old-fashioned, apothecary inspired and printed on paper with visible fibers. They just look cool to me and I like to see them around in the bathroom. The aptly named Body Sorbet is a very lightweight gel-cream that melts on the skin and provides a pleasant cooling effect, due to the presence of a menthol derivative. It's very refreshing and I love to use it after a shower on hot summer nights to help me stay cool longer. I also really like to use it after a day at the beach. The cooling effect is noticeable but mild, this is no Biofreeze! You can always store the jar in the fridge if you want an extra chilling effect. It has the same uplifting citrusy scent, although the fragrance is lighter than in the shower gel. The Sorbet leaves my skin nicely hydrated and fresh, and it sinks in right away leaving no greasy or sticky residue, so I can get dressed within minutes. 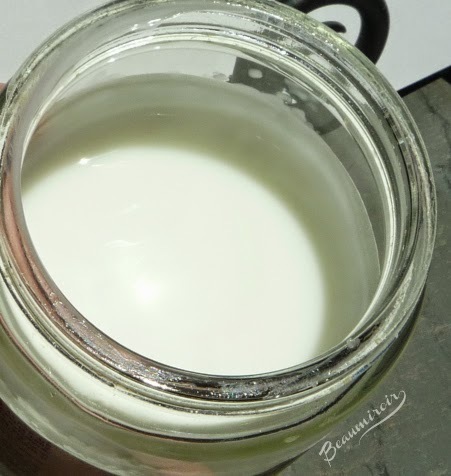 It won't be rich and nourishing enough for very dry skins, but it's a great moisturizer for the warmer season. 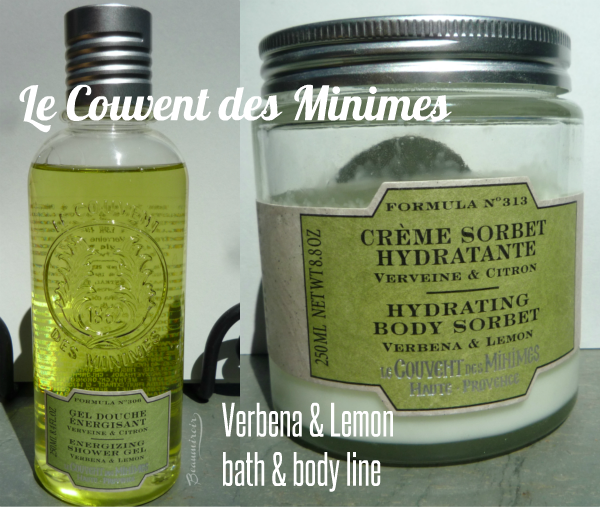 Overall: The Verbena & Lemon line by Le Couvent des Minimes has a refreshing, uplifting citrusy scent that makes the products perfect for the summer. The Hydrating Body Sorbet in particular is a great lightweight gel-cream moisturizer with a nice cooling effect. If lemony scents make you happy, you'll love this line.